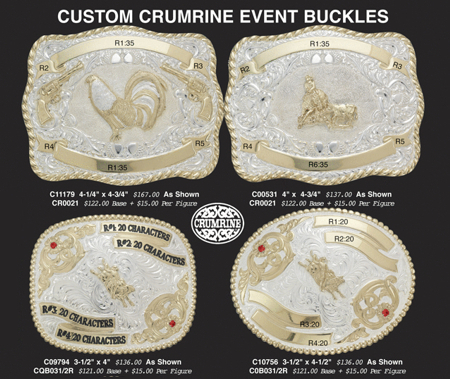 We can now supply Crumrine Classic Belt Buckles, Crumrine Embossed Trophy Belt Buckles and Crumrine Custom Event Belt Buckles. 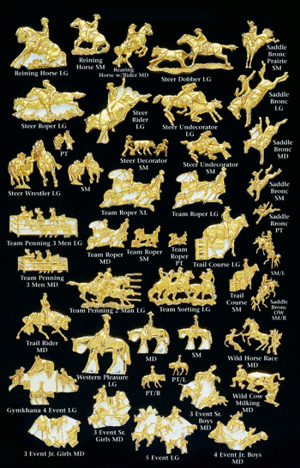 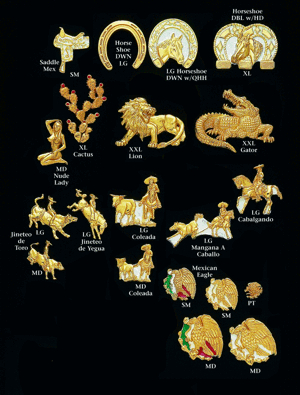 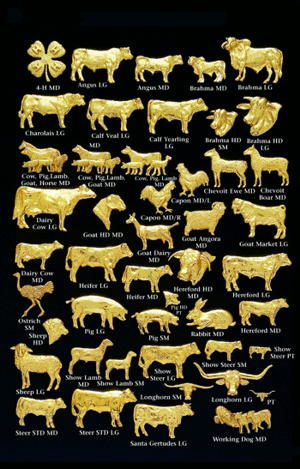 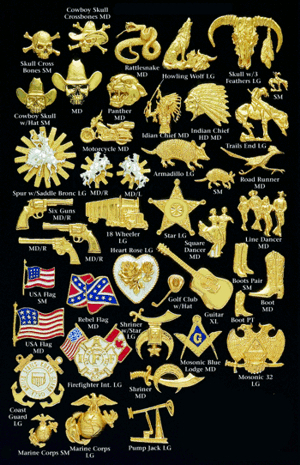 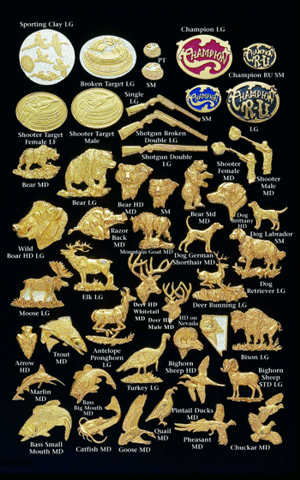 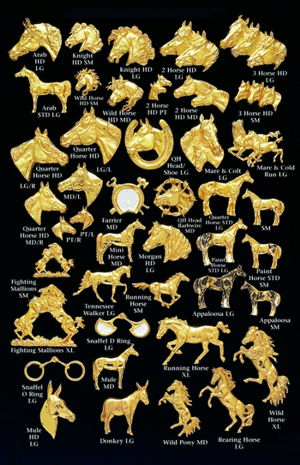 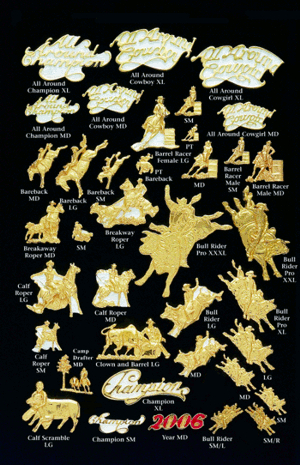 Click on the photos of the various Buckle Event Figures Pages(also know as Buckle Motifs) to view a larger photo. 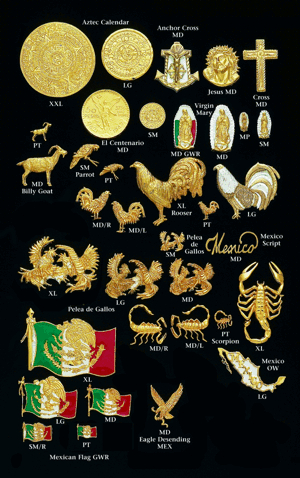 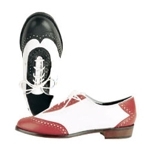 A new web browser will apear wth the larger photo. 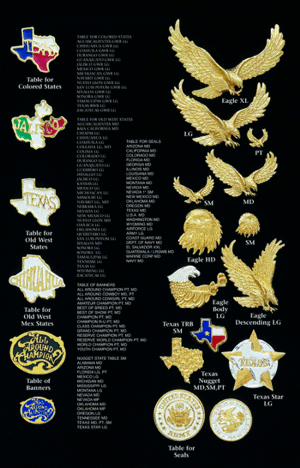 If the photo reduces in size after it is dispayed then click it once with your left mouse button and it will appear full size. 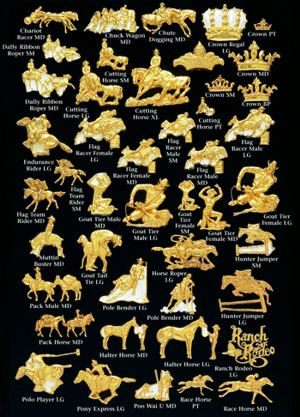 These are very large photos and depending on the speed of your internet connection it may take several minutes for the images to completely appear.